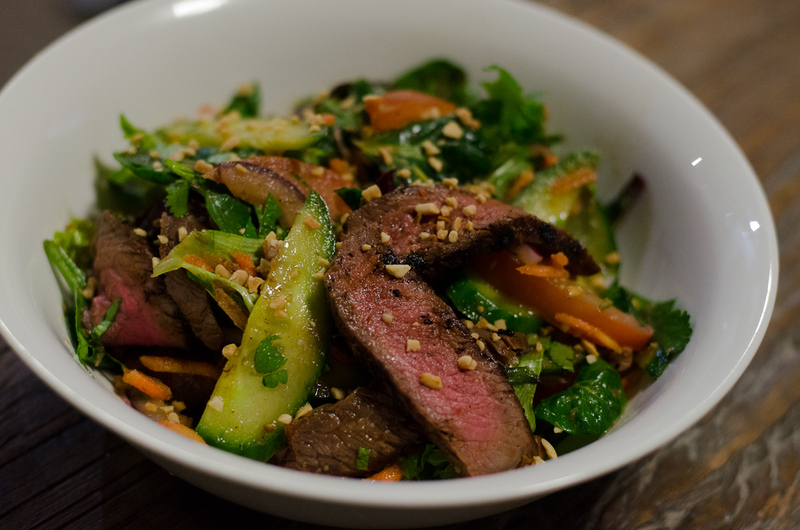 I’m calling it a Thai Style Beef Salad because it’s not something you’d find in Thailand. It’s highly in-authentic but a quick, healthy weeknight meal. You will need some Thai Chilli Jam though, and I highly recommend making your own. This is a great recipe to learn how to balance flavours in a dish properly. It’s a very freeform salad, use whatever you want – I was making carrot cake cupcakes at the time (is it carrot cupcakes or carrot cake cupcakes?) and so I put in some leftover grated carrot. Make the beef marinade and rub it into the rump steak. Set aside for about half an hour. 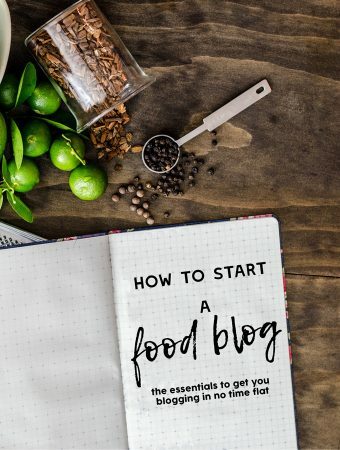 Prepare the salad dressing by pounding the lemongrass, chilli and garlic in a mortar and pestle until the ingredients break down into small, shredded pieces - it doesn't need to be perfectly smooth. Add fish sauce, palm sugar, chilli jam and lime juice and taste for balance - it should be hot, salty, sweet and sour. Heat oil in a grill pan until it's just started to smoke, then cook the beef to your liking. I like to flip steaks several times as it provides a more even browning and less likelihood of overcooking. If you need tips on how to cook steak, have a look here. While your steak is resting, toss two thirds of the dressing with the salad ingredients in a large bowl, then place into two individual serving bowls. Slice beef into thin slices, across the grain and place on top of salad. Top with remaining dressing and toasted peanuts.